Okay maybe not ever…but for sure one of the best this year. This month. This week. Today!! The crust is made with a combination of graham cracker crumbs and Fisher pecans. Sweet and salty! The cheesecake layer is smooth and creamy, and best served COLD. 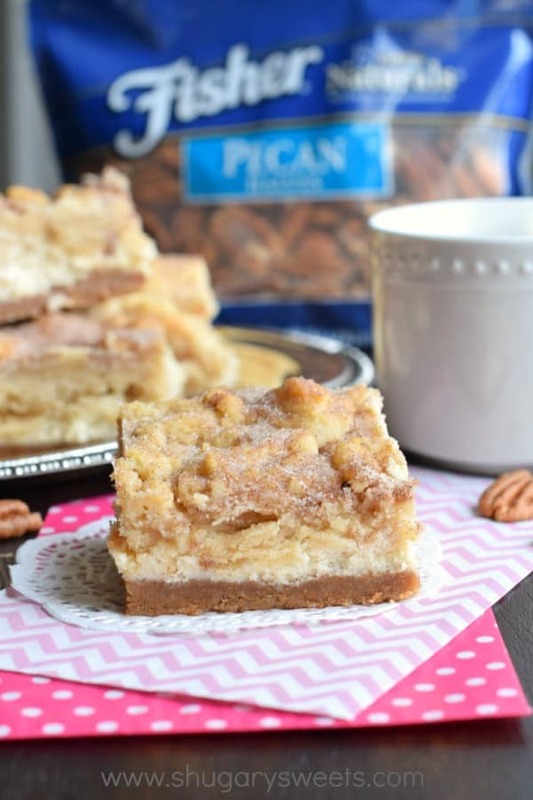 The snickerdoodle cookie layer has a top crust of cinnamon sugar and one bite of this bar will leave you wanting more. I promise! I’m pretty sure that cheesecake bars are nearing the top of my list of “favorite desserts.” I don’t think they could ever replace Krispie Treats….but they come in a close second. Today’s version is one of a long list of ideas I’ve had brewing since I first shared this Chocolate Chip Cheesecake Bar. My husband asked me the other day, so how is your list of creative ideas coming along? Are you running out? If you haven’t tried making cheesecake bars yet…you should do it soon! You can change them up to your own liking. I’ve partnered with Fisher Nuts as part of their Think Fisher brand ambassadorship this year, so adding delicious nuts to my desserts is always a priority. Fisher Nuts are preservative free and always my number one choice at the grocery store! Not only did I add pecans to the crust layer, but I also added some to the cookie layer! It’s a pairing that was meant to be, and you’ll understand once you take a bite of this delicious bar! 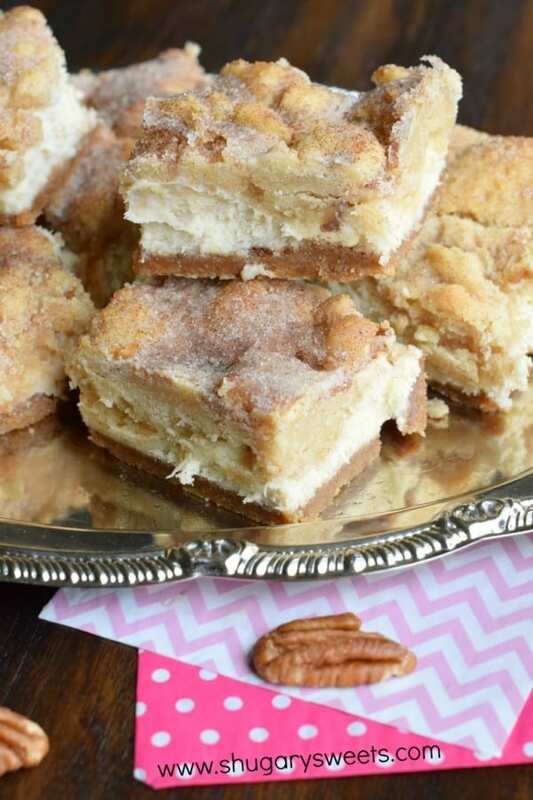 These Snickerdoodle Cheesecake Bars would be the perfect addition to your summer dessert table. Just make sure you save one for yourself, because they won’t last long! 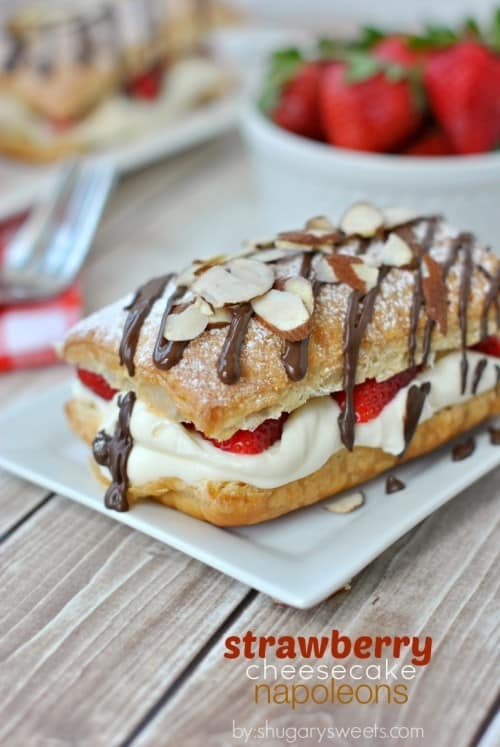 Strawberry Cheesecake Napoleons: an easy dessert idea! 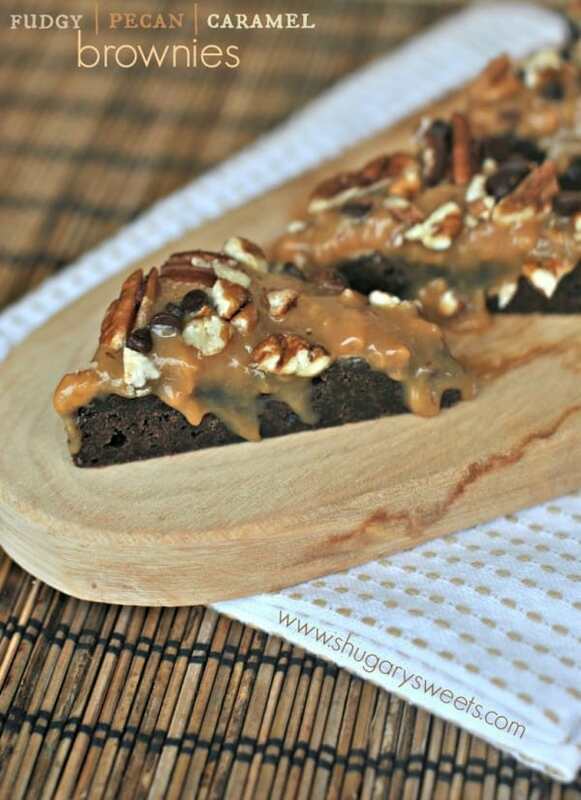 Turtle Brownies: gooey caramel, chocolate and pecans make this a sinfully delicious treat! 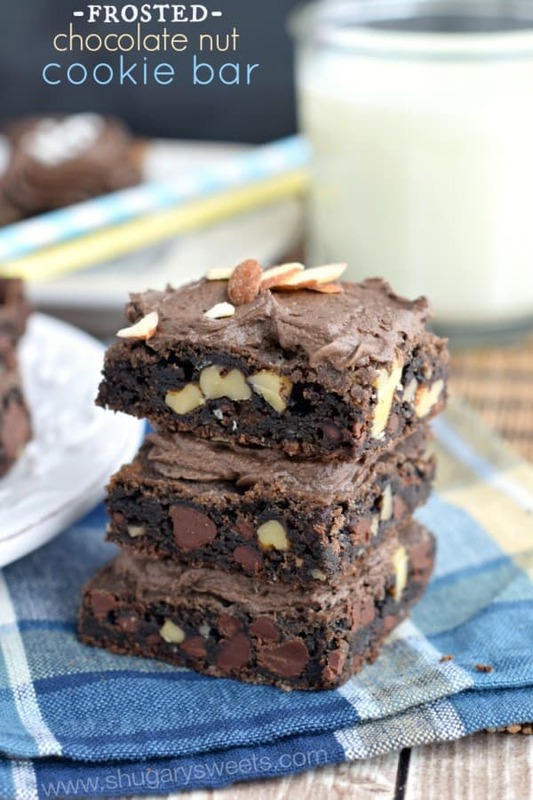 Frosted Chocolate Nut Cookie Bars: chewy, fudgy with a sweet and salty finish! 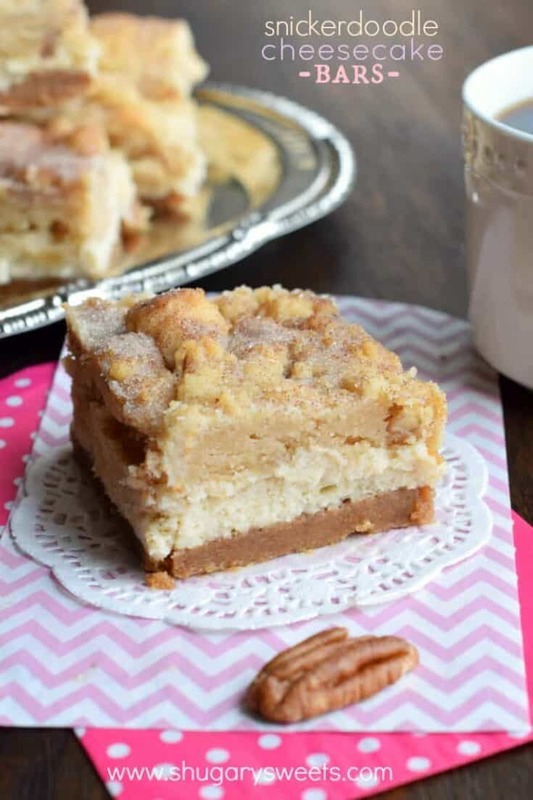 One bite of these Snickerdoodle Cheesecake Bars and you'll fall in love! The sweet and salty graham cracker pecan crust with the creamy cheesecake layer is all topped to perfection with the snickerdoodle pecan cookie topping! *Today’s recipe for Snickerdoodle Cheesecake Bars was first published on Shugary Sweets on May 4, 2015. A new video tutorial was added, and the recipe was republished in June 2018. Quite honestly, making cheesecake bars isn’t typically on my radar. But Mother’s Day is coming up and I want to surprise my wife with a nice dessert, a small gift and some crafts made by the children’s fat little hands. Wish me luck! Being a dad on Mother’s day…..I’m feeling the pressure to deliver! These look amazing! I absolutely love pecans, and I can’t wait to make these very soon! Holy cow those sound amazing! Never had pecans with snickerdoodles but it makes complete sense. And I will never turn down cheesecake. Holy Moly Amiee! These bars are drool-worthy! The snickerdoodle part makes me think of warm cinnamon sugar sopaipillas, a perfect treat for Cinco De Mayo! Great Recipe! Cheesecake bars are just the best desserts and I love this combination of sweet and salty. I don’t feel so bad. I think I only use it once a month, haha!! These cheesecake bars look absolutely delicious! The pecans are such tasty addition! Okay you have pretty much combined my most two favorite things! Cheesecake and Snickerdoodles! Um, these look TOTALLY AMAZING!! You did well with these my friend…yes you did. Snicker love! OMG Aimee. I need these so much! They look absolutely fabulous! These bars are making me hungry! I love the sweet-salty combo, and I can never say no to cheesecake! Oh no! It took me WAY too long to see this deliciousness. These are seriously at the top of the cheesecake bar list. They look incredible! My ideas come in waves, not consistently. So when they come, I need to be near a notebook or iPad. So you’re lucky that the ideas flow all the time! These bars look incredible! Love the cookie cheesecake combo! These look out of this world amazing!! My goodness!! You and your ideas are fabulous! Love your hubby’s comment. Sometimes I draw a blank on what to make, then think of something. I then google it and see of course others all ready had the idea. Hehe. 😉 Love these!! What a fabulous idea. I’m crazy about snickerdoodle desserts. These bars look soooooooooooooo DELICIOUS !! I love everything with cinnamon, and together with cheesecake – these bars must be so good. Pinning and saving your recipe. 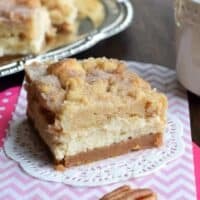 These Snickerdoodle Cheesecake bars are WONDERFUL and so addictive. They are very easy to make and have all the ingredients in there that are favorites of everyone. This is a real hit. Had company over last weekend and they all loved them. I will definitely try Snicker doodle cheesecake Bars– I particularly like the recipe as it is written out all on one stop- Many thanks. I noticed someone has asked about replacing graham crackers(wafers) –I have replaced graham wafers with Oreo crumbs as you don’t have to add so much sugar to the recipe as they already have plenty of sweeting in them and tasted great also this becomes a chocolate crust then. 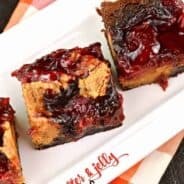 These look amazing and since Thanksgiving is coming up, I was looking for some pumpkin bars, have you ever added pumpkin to the cheesecake layer? Thank you Aimee. How come it doesn’t need eggs in the cream cheese layer? These look so yummy. I want to make them for Christmas. Are they real rich, like chess bars? Just noticed that these take 4hours and 30 min to prep. I am sure this is a typing error?? 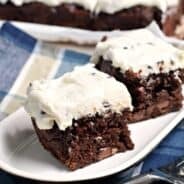 I came across this recipe on pinterest, and thought it looked delicious. I asked my sister who was over for dinner if she thought I should make them, she said, “Eh, I’m not really a fan of snickerdoodles or graham cracker crusts. But if you want to make them, go ahead. I’ll try them at least.” Well she did try them, and was so glad I didn’t listen to her unenthusiastic opinion. We both couldn’t stop eating them. Love the crunchy topping, almost like a coffeecake. So good, thanks for the recipe! Hi! I saw this recipe on Pinterest and thought it would be an amazing Christmas treat! If I have people who aren’t pecan lovers can I omit pecans? Or will that change the recipe completely? Nope you can omit them if you choose! I would increase your crust to 2 1/2 cups graham crumbs (18 full size crackers). ENJOY! Unnecessarily long and tedious text. The majority of blogs are often narcissistically “I” focused. would a 10×7 pan work? do you think white chocolate could be incorporated or is it great without? also, would it be better to cook the crumb base itself for 5 minutes and let it cool before adding the rest of the mixture or is it fine to cook all at once? thank you ! btw, i sent u an email with regards to the recipe, could you tell me the amount of flour needed for the snickerdoodle layer in grams as i am getting various amounts when i convert it online? Sadly, I don’t measure in grams, so I’m not positive. But, if I recall, it’s around 120-125 grams per cup of flour. Can I make cupcakes with these? I’m thinking that might be easier for work functions. Thank you for this recipe! I made these for my coworkers and they were amazing! Many people came back for seconds! I almost omitted the pecans because I’m not a huge fan of them, but chose to just chop them a little smaller which allowed for hints of their flavor here and there, but nothing overpowering. My topping came out a little too crunchy, (which I blame my old oven) but overall this recipe is a keeper! Yay, thanks for stopping back and letting me know! So glad you and your coworkers enjoyed the recipe! Does your cookie layer have a crunch? My top was brown, but the cookie was a bit undercooked. I just bought a new home. The stove may be off, and I need to bake them for at least to 35 minutes. Please advise as to your cookie layer texture/ consistency. Switch vanilla extract in cheese cake to 50% vanilla and 50% lemon extract. Better yet, 80%lemon and 20% vanilla. I did the 50/50, but feel the 80/20 would be even better. Or, add a pinch of orange extract or rinds of each. I also added nutmeg to the crust and the cookie and doubled all the cinnamon. The top of the cookie definitely has a crunch, and it’s soft and chewy on the inside (although definitely cooked). If you search cheesecake bars on my blog, I have tons of variations as well 🙂 ENJOY!! I think the distinctive flavor of cream of tartar makes the snickerdoodle a snickerdoodle. Could this spice be added to the topping? What amount would you suggest? Wow… Definitely going to make these. They look and sound amazing! And @ Donna, what a horrible thing to tell someone. You sound like a very bitter and rude person. What is wrong with people nowadays!? These sound amazing, but I’m confused about the “sweet and SALTY” description. It looks as if you use plain, unsalted pecans (from the baking aisle) , not salted pecans (from the snack aisle), so exactly where does the salty aspect come from? I also notice you use unsalted butter, so that’s not where salty is coming from. Please set me straight as I am about to run into kitchen and start making these because they sound right up my alley! I love snickerdoodles and graham cracker anything! WOW! These were amazing!!! I made them last night to take to a treat exchange and couldn’t wait to cut them up today. I am in LOVE. Very delicious. They are rich but I think that’s why they are cut smaller to make the 24 bars. I’m sad that I only get to eat 2 bars because the rest go into the treat exchange. I ate the first bar so quick. The second one of mine I cut into about 8 pieces. Lol. Thank you so much for this amazing recipe. I will be back for more varieties for sure! I followed your recipe exactly, the cookie dough didn’t seem to fully cook. I even left it in an additional 10m. I’d use half as much cookie dough next time. Seemed like too much. For my taste. I’d enjoy more cheesecake, less cookie. I love the idea tho. I made these for a tea party hosted the fall. It makes way more than my family can eat once. Have you tried freezing them? Does it work out well? Made this recipe today, just halved it and put in 9×9 pan. So tasty, so snickerdoodley with some cheesecake texture thrown in. Highly recommend, will make again. Sweet and salty desserts are my favorite kind! My son absolutely loves snickerdoodle cookies and it just so happens that his birthday is coming up later this month. I think I’m going to have to make these for him. Thank you for the recipe! YES! We made this all the time! We call them Breakfast Cheesecake Bars (no idea why I’ve never shared that easy recipe on the blog)! I have made these 3 or 4 times now and I cannot get over how amazing they are! I honestly think they are the best dessert I have ever made! The flavors are addicting and I dream at night about who’s birthday is coming up so I can offer to make these! Of course I have to save a few for myself that way…but I’m always willing to take one for the team! 😉 Make these! You won’t be disappointed! I’m going. To make these for Easter dinner, we have nut allergies, so I thought I would substitute crushed pretzels. These looked so amazing but when I saw how much sugar was in each layer I decided not to make them. I’ve made these twice. They are fantastic! My husband and I were discussing it tonight…we would both like more of the cheesecake. If I doubled the cheesecake layer, would I need to adjust cooking times? Yes, I believe you would have to cook it longer. Your better option would be to use less of the cookie dough layer? 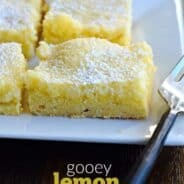 These bars are soooo good , I made them and my kids and grandkids loved them !! Thanks ! I saw just a little too much stress involved with spreading the cookie dough on top of the cheesecake batter. I rolled the dough out between two parchment sheets and it easily peeled off and I just layed it on top of the cheesecake layer. That’s what I do as well, Tammy Kirkwood. I just made these this weekend! They look great and taste great. I think next time I will add a little lemon zest into the cheesecake part to make it a little summer-y. I had them after 4 hours of refrigeration but they were even better after an overnight cooling off. I think the flavors meld a little more! For the cookie topping, I put used a cookie scoop and put little mounds of cookie dough and it came out great. I wouldn’t stress too much about the cookie topping looking perfect as the cookie dough melts will spread out during cooking. Great tips 🙂 So glad you enjoyed the recipe! For Christmas, my sister-in-loves came up with the idea of a bake off. This was our second year doing it. Last year was cakes and I came in 4th place with a Rum Cake. This year was cheesecakes. I made this recipe and guess what…..I WON!!!!! Everyone loves it and there was none left. The next day my brother texted me and asked me to make him another one. Thank you so much for sharing!!! You’re welcome! This is one of my favorite recipes! Hi. Do you have to bake the graham cracker crust before putting the cream cheese layer over it.? Thanks so much! Nope, it all bakes together. The layers in these are just phenomenal looking! Can’t wait to try! Girl…my comment to you is the same reply you gave your husband!!! Where do I start…what do I make first…it is ok to just have dessert for supper, right??? So many & I want to make them all the same day. You are amazing & I am having a fabulous time. You are a “5 STAR”!! Sounds delicious! Do you have any written recipe? Will try out these dishes sometimes. Hello! Making these for my sons 1st birthday. What if you had to make the crust without nuts. How much graham do you suggest then? Just want to say that I LOVE these! I’ve made them about 10 or so times, and get asked by my family to make them every holiday. I usually leave out the nuts and to save time I buy premade sugar cookie dough and mix in some cinnamon! If people are having problems with the cookie layer they could try that, because I’ve never had any problems! These ingredients are pretty simple but when put together they are so amazing. THanks Morgan, so glad you love them. Great tip too! This sounds scrumptious and I will be making it for Christmas dessert for my son in law who adores snickerdoodles! But… where is the video tutorial? I don’t really need it, but I did want to see it. thanks! I love these so much! I think I am going to make another batch over the weekend. I’m a big fan of snickerdoodle cookies, so I knew that these bars were going to be right up my alley. Seriously addictive!